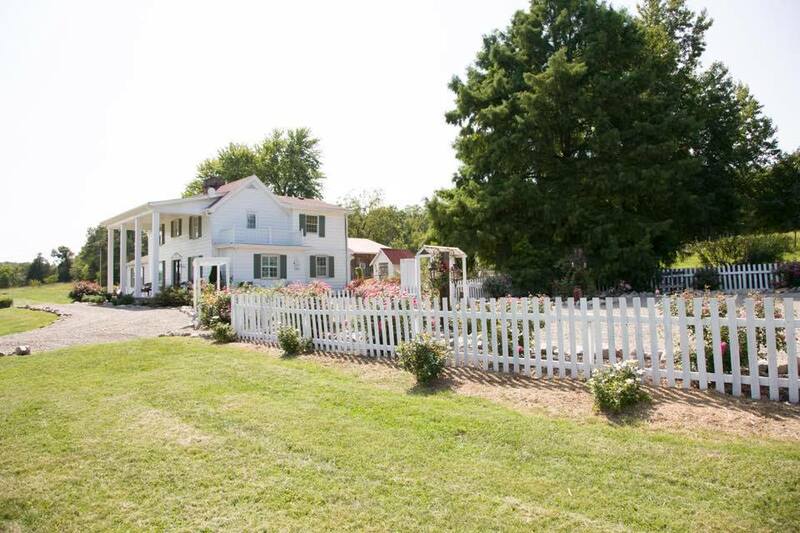 Dodson Orchards is a Historic Missouri Barn Wedding Venue located in Fredericktown, Missouri. This historic venue can trace it’s history back into the late 1830′ when the land was homesteaded by Pleasant Maze. We don’t know much about Mr. Maze other than he at some point sold everything and headed west during the Gold Rush in California. In 1850’s he had sold the farm to a Swedish Immigrant named Johanne Clauser. The farm was left abandoned for the better life of modern industry and laid bare until the end of World War II when a man named Herman Lawrence purchased it. Herman Lawrence and his family did much to the property and the old house by way of renovations and adding a driveway directly to Madison Country Rd. 507. During their span of 40 years ownership they turned it into a working family farm. Growing corn, veggies, and livestock. In the 1970s the property was sold to yet another family last name of Lawrence (no relation). It was held into the 80’s and was not a primary residence for anyone. In the 80’s it was subdivided and the house was used as a rental from time to time. But still it wasn’t a home or a working farm for now over 20 years. From the 90’s until 2010 it was subdivided and rented out and sold a couple of times until Steve & Jen Dodson purchased the property. From then on, this has been our Family Farm, where we have had an apple orchard, peach orchard, blueberry orchard, blackberry patch, and a vineyard with some 1200 vines. This farm has something very different about it. The past that was painted with hard times, civil war, industrial revolution, great depression, the roaring post war era, and now the new vibrant future where the spirit of hard work is combined with modern technology to create a unique magical working farmstead where guests can come and be woven into the fabric of it’s long colorful history. Steve & Jen Dodson are proud to be the current stewards of this unique plot of earth. Painted by blood, sweat, and tears of generations past, this unique canvas has become one of the most popular wedding venues in Missouri. We continue to be a proud part of the fabric of this American Heritage farm.